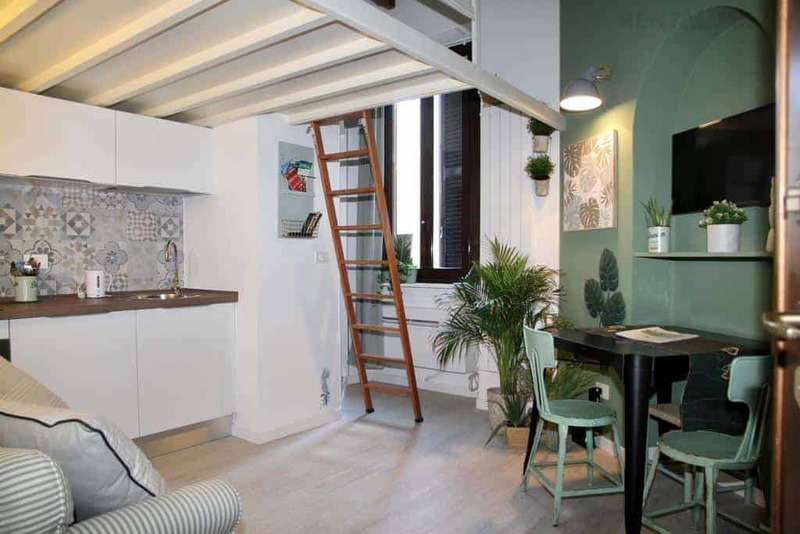 Totally renovated cozy studio apartment in Milan, on the 2nd floor with elevator of an ancient renovated building in perfect conditions. Loft double bed, the ceiling is about 150 cm high. In the lively and popular via Tortona district, famous for the design international fair and for the main fashion brand headquarters.